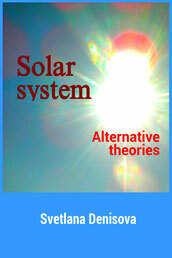 Different hypotheses are existing about the origin of sun-spots. 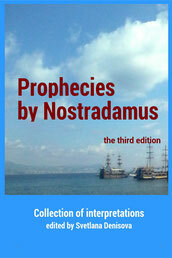 Now common accepted hypotheses, is best reflected in the electronic encyclopedia "Wikipedia". 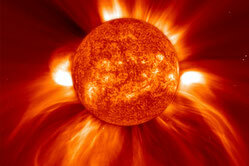 It explains the appearance of sunspots, a perturbation of individual sections of magnetic field of the Sun. In this article the hypothesis explain the appearance of the sunspots by falls different space bodies. From this point of view, the magnetic field perturbation is not the reason for the appearance of sunspots, but on the contrary is the consequence. 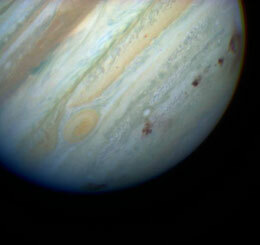 It has long been known, that the meteorites and other celestial bodies often falls on planets and moons. The Earth and other planets good protected from such "bombings" by atmosphere, in which the majority of small falling objects burns down, but the moons without atmosphere has a lot of impact craters. For example, the moon of Saturn Mimas in photo 1 is almost completely covered with craters from tiny to giant. The sun is not only an exception, but, on the contrary, because of its giant attraction, thousands of times more often exposed to such of falls. But unlike the moons, where every falling forever leaves a trail, the fire on the surface of the Sun destroys over time, all traces of the falls. 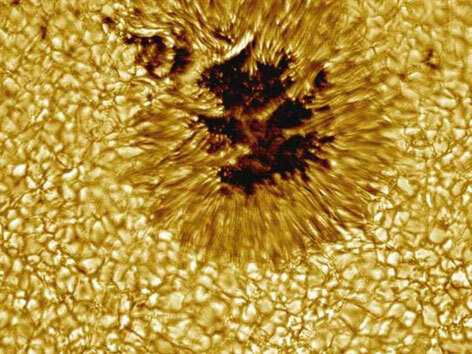 Not all falling objects can to form sunspots. Most of them, having a small size or consisting mainly of ice, or loose rocks, burn up before reaching the surface. Only the largest of fallen objects leaves a temporary trail. Almost all the features of sunspots can be explained by the fall of the celestial bodies. Dark spots are areas of the solar surface, which was repaid by falling objects. Perturbation of the magnetic field occurs before the fall of different celestial bodies. The absence of fire makes these areas relatively less hot than the rest "burning" surface of the Sun. The temperature of falling objects much below the surface temperature of the Sun, though, when approaching the Sun, they quickly warmed up, and their surface begins to burn. 3. 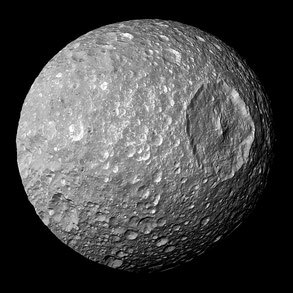 "At beginning, on this https://commons.m.wikimedia.org/wiki/File:Mimas_Cassini.jpg#mw-jump-to-licenseplace appears a torch, then a little later, and to west appears a small point, called - the pore, size of a few thousand miles ..." (Wikipedia). 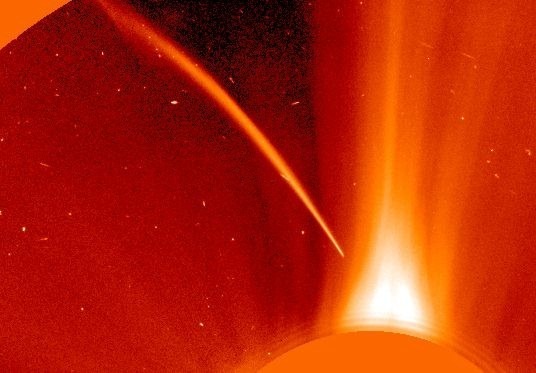 In photo 2, can see the fall of the comet on the Sun may 5, 2011. This is not the only one recorded case of a falling of comets in the Sun. Powerful bright flash as torch, appeared before the fall of the comet on surface. This photo confirms that the torch prior to the appearance of spots and fall of the cosmic bodies are interrelated phenomena. 4. "The spots are usually formed by groups, but sometimes appears a single spot, which lives only few days, or bipolar group: two spots of opposite magnetic polarity, connected by lines of magnetic field " (Wikipedia). Single spots can be explained by falling celestial bodies, consisting entirely of solid rock, which are not destroyed under the action of gravity. Groups of stains, on the contrary, it is possible to explain by the destructive action of gravity. In the photo 3 and 4 are the two similar phenomena: arc welding and arc discharge between two spots of opposite polarity. Presumably, an object which can’t pass through the solar shell, pushed out onto the surface at the almost same angle at which it entered into it, but in the opposite direction, forming a symmetrical spot. Photo 2 shows, that the objects falls on the surface is not vertical, but at an angle. Fragment, which was pushed out, falls on surface secondary and can to form a smaller spot and a secondary weak single arc. 5. "The largest group of spots always has an associated group in the other hemisphere (northern or southern). In such cases, the magnetic lines go out from the spots in one hemisphere, and enters to the spots in the other one" (Wikipedia). The sun rotates around the axis at different speeds, at different latitudes. Therefore, its shell it is not solid. Apparently, most large falling bodies have sufficient capacity to pass through the Sun and exit from the opposite side. 6. "Group of spots often stretch parallel to the sun's equator ..." (Wikipedia). A striking example illustrating the formation of the group of spots, can serve as a drop on Jupiter comet "Shoemaker-Levy" in 1994. Comet was divided into 21 fragments by the force of gravity. Photo 5 shows that the fragments of Comet Shoemaker-Levy formed dark spots in the southern hemisphere along the line parallel to the equator. Also approximately parallel to the equator, are stretched spots on the Sun. The fall of celestial bodies on the hard surface of the planets or their moons, formed a crater, or a deepening. The surface of the Sun is not solid, but probably dense, viscous liquid, in which also formed a lower area (hopper) after falling. Over time, it is tightening. For cyclical solar activity can find an explanation also. On its way in Galaxy, the Sun passes such areas, where are a many number of meteorites and other celestial bodies. Perhaps, these are areas of space catastrophes, for this reason the number of sunspots ought to increase. In other parts of the solar path, where “space debris” are no and sunspots are no. Spots are a good material for studying of the Sun. A proper understanding of the nature of the origin of spots provides great opportunities to study the Sun. With using spots were detected and proven Sun rotation, its rotational period and the irregularity of rotation at different latitudes. In photo 6, the fallen object formed a "slice" of the surface. On the "slice" plasma’s fiber (jet) of clearly visible. They are close to each other and cover the surface of the sun like a pile carpet - is the so-called convective layer - a layer of fire. Plasma fiber, "on the cut", are the line segments. They have a dark base and light point's ending. The entire surface except a dark sunspot, are covering the light spots of different shapes and sizes. They fit snugly, but do not merge, but clearly separated by darker outlines. "Fibrous" structure of the convection layer can be explained by granular structure of the base of this layer, as well as the influence of magnetic fields. On the surface of the dark sunspots, visible grain structure, consisting of black and crimson spots rounded shape. Perhaps this is the process of combustion, melting of the fallen object, or maybe it's a base of the plasma fibers, repaid as a result of falling object. Photo 6 shows that the Sun is not whole a burning sphere, but consists of different layers. Under the convection layer-fire, is the so-called diffuse layer. Perhaps it is a layer of dense fluid, essentially is a shell of the Sun. The average density of the Sun is 1409 kg/m3. This corresponds to a dense fluid. The Sun rotates on its axis at different latitudes at different speeds - faster at the equator, and to the poles slower. This confirms that the surface of the Sun is not solid. The density of the Sun is uneven, so the convection layer, essentially are burning gas, has a low density, much lower than the average. Therefore, it is likely that the diffuse layer is a viscous liquid (more dense than the average density). The presence of a solid layer under of diffuse layer would not give the possibility for the Sun to rotate on its axis at different speeds, at different latitudes. In addition, large fallen objects pass through shell of the Sun and goes out from the opposite side of that in the presence of the solid inner layer would not be possible. Hence, directly under the diffuse layer there is no hard layer. It is possible that inside of the Sun are less dense medium than in the shell. If the object will pass inside of the Sun, and will not be able to exit on the other side, then, under certain conditions, it can make the resonance oscillations inside. 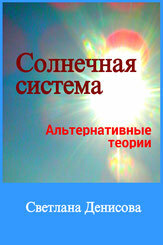 As a result, the spherical shape of the Sun can temporarily deform. Tubular yellow flowers sunflower, similar to the tubular plasma fibers of the Sun. 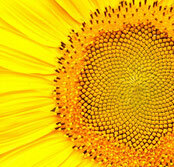 They covering, a surface of a head of a sunflower also densely, as plasma's fibers of the Sun. Tubular flowers of a sunflower grows from black seeds, similar to black granules of sunspots in photo 6. People have long noted a similarity of this plant with the Sun and its manner turns to him, and therefore gave him the name derived from the Sun. The appearance of spots on the Sun causes perturbation of the magnetic field of the Earth, which can lead to malfunction of some systems. Despite this, the spots on the Sun should be seen as a positive phenomenon. Falling celestial bodies, although not significantly, but increases a mass of the Sun, which decreases continuously and maintains its activity. Thus, the dark spots on the Sun can be explained quite simply, as result of fall various celestial bodies - the phenomenon is very common in Space. If you go to the link: http://www.youtube.com/watch?v=LjB1vYgrKdY , you can see the magnificent fascinating video appearing of spots on the Sun, video shooting by NASA 19.07.2012. At first, a torch formed. Then, from the left, the fragments fall to the left of the base of the torch. Then some of them, pushing out at the right base of the torch. After that, the torch turns into a coronary arc. The fragments, which was pushed out, forms a secondary arc, but weaker and lower than the main arc. The secondary arc formed by return movement, from the secondary point of falling toward to the right base of the arc. Text in Wikipedia often changes. 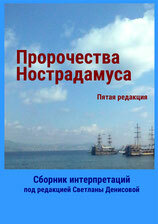 The article quoted passages on date 24.10.2012 and may not reflect subsequent changes in the free encyclopedia.